Building a PC of your dream always presupposes hard work. It’s a time-consuming process which consists of several stages and requires a profound knowledge of specific notions, and graphics card is definitely one of them. That is why we’ve prepared some basic information you should take into account when choosing the graphics card for your computer. Besides, here you will also find the list of the best graphics cards, which includes models suitable for both common users and zealous gamers. What to consider when choosing a graphics card? 1. What do you need a graphics card for? Model, size, price – all this comes later. Your first step is to make a final decision concerning the aim of your purchase. What do you need a new graphics card for? If you are planning to play games round-the-clock then make sure your card is fast and has enough RAM. But if you are planning to work with 3D animation or video production, for example, then you have to pay more attention to the image quality than speed. In this case, you may choose either high-grade cards or even workstation-class graphics cards. Besides, if you are going to use your PC as a media center then check whether the output connector matches the device you want to connect the system to. Still, if you do not have such serious plans concerning your PC and all you will need it for involves net surfing and some casual games then you may choose a midrange graphics card or a hybrid system. In fact, budget issue is often a starting point of any further research. Your needs, requirements and dreams won’t play any role if your budget doesn’t coincide with them. 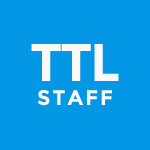 The general principle here is simple – the more powerful a card is the higher price it has. Thus, if you belong to the category of gaming fans get ready to spend a pretty penny on your new graphics card. 3. 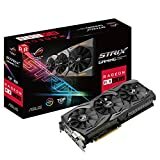 GPU: AMD or NVIDIA? Graphics Processing Unit (i.e. GPU) is a basis of any graphics card and determines its capabilities. If you want to get a high-end piece then pay attention to the part number because the higher it is the better performance a card can offer. There are two providers of graphics cards you will have to choose between – AMD and NVIDIA. Which one is better? Well, it’s up to you to decide which graphics card will be the most suitable for your PC. The point is that both brands have pluses and minuses. Your task is just to take them into account and select the best card namely for you. The most wide-spread fact about the difference between AMD and NVIDIA is their price. It is considered that AMD is cheaper than NVIDIA. In fact, we do have doubts concerning this idea. Prices are mostly of the same level and if you compare, for example, NVIDIA GeForce 980Ti and AMD R9 Fury X models you will be even surprised to find out that AMD product is a bit more expensive. Nowadays AMD is working hard to reach NVIDIA status and to join its high-end niche. Still, NVIDIA shows better performance. It has effective memory speed and a host of exclusive technologies. As to AMD, it offers more autonomy for its users – for instance, you can download its drivers anytime you want directly from AMD official website. In a nutshell, AMD and NVIDIA seem to be participants of everlasting races, which motivate them to improve their products. And that’s their main benefit. Whatever brand you will choose, NVIDIA or AMD, you will have to check the basic options their cards offer. One of them is memory. Obviously, more memory in the graphics card guarantees better speed and improves its general performance. Note that different types of graphics cards offer different RAM. This may be DDR3, GDDR3 or GDDR5. All of them differ in speed and, consequently, price. The best option here is GDDR5. By the by, always pay your attention to such feature of the graphics card as bandwidth. Poor bandwidth can turn to be a real pitfall for a PC user. That is why don’t forget to check this characteristic in order to get a graphics card with excellent performance. On the whole, modern types of RAM have much better bandwidth than their forerunners. One more thing you need to know is that the amount of memory affects the resolution a graphics card can be compatible with. For example, a PC with a display higher than 1680×1050 is compatible with 1GB of RAM. Monitors with lower resolution require just 512 MB of RAM. So, if you need a PC for gaming and you’re planning to use several monitors then you will have to get at least 3GB of RAM. You can read more about the best RAM for gaming here. Cooling is another aspect which affects the card’s productivity greatly. The general principle is simple – if a graphic’s card has more ventilators then it is able to show better performance. First of all, you should know that there are reference and non-reference coolers. The point is that AMD and NVIDIA providers sell their cards not only directly to customers but also other companies that add some changes to the cards and sell their own versions of graphics cards which are already modified. Thus, cards which are sold directly to consumers get the reference title while those with modifications – non-reference. Consequently, original cards have somewhat different cooling systems. Reference graphics cards have got a single fan offset to one side that sends hot air out of your PC case. As to non-reference cooling systems, they often have two fans which blow hot air away from the card but not from the computer case. As a result, this can lead to overheating. Though, they do have their own benefits – non-reference coolers are quieter. Before choosing between these two types of cooling systems, you have to know the average temperature of your CPU during your usual activities. If it gets higher than 55° C then it’s better to get a reference one as it will blow hot air out of your PC case. Still, if a cooling system of your PC is powerful enough then you can choose the other one. Whatever card you will choose you must be sure that it will be compatible with the other elements of your PC. Usually, weak points are the size of a graphics card, PSU and PCI. Your first step is to check whether a selected card can be connected to the system. Your PC can have an old type of connection called PCI (peripheral component interconnect) slot, its improved version – AGP (accelerated graphics port technology), or the newest PCIe slots (PCI Express), which are faster and more flexible. Therefore, before your purchase, you have to know what cards will be compatible with the expansion slots of your computer. Besides, if you’re building a serious gaming machine then probably your PC case can support from two to four cards. In this case, note that both slots and cards should be the same. These technologies have got the following names – SLI in NVIDIA cards and CrossFire in AMD cards. As to the size issue, top-notch graphics cards are longer. Still, the best option here is to measure the card and space inside your PC case in order to be sure that the card will fit it. What is more, pay attention at the slots at the back of the computer case – they must be big enough to match the output. Of course, you can use adapters for card outputs but it’s always better to have the card which is originally compatible with your PC. Almost all budget cards get power directly from the PCIe slot. However, graphics cards of higher quality may require connection to PSU. It is usually done by means of 6-pin or 8-pin connectors, though sometimes they may be used both. Thus, if you have such high-end gaming card you will need to check whether your PSU is good enough for this purpose. If you are in pursuit of premium products that will raise your gaming experience to the highest possible level, EVGA GeForce RTX 2080 Ti FTW3 Ultra Gaming card is the product for you. It is very expensive, but if you want a great image quality, improved thermal solution and overall an exceptional performance, things can’t get much better than this. This card offers a variety of advanced technologies and features such as Ray Tracing should create a real revolution in image quality and bring further realism to it that once it’s fully adopted by game producers. Also, there are triple HDB fans for silent and highly efficient cooling at the same time, 11GB of GDDR6 memory, the amazing 4352 CUDA Cores, numerous connectivity options (three DP, one HDMI, and one USB Type-C), a nice boost clock of 1755 MHz and a lot more. When compared to the RTX 2080 cards, this EVGA card offers a 31% performance boost and compared to RTX 2070, it rises to 61%. It is similar with AMD Vega64 that it is two times faster from. In other words, if the best possible gaming adventure is the primary goal and money is not an issue, EVGA GeForce RTX 2080 Ti FTW3 Ultra Gaming is the ultimate solution. EVGA GeForce RTX 2080 FTW3 Ultra Hybrid Gaming is a high-quality graphics card with numerous improvements over the previous card generations. These upgrades include, among others, the enhancement in VR applications performance (VRWorks Audio, Variable Rate Shading and Multi-View Rendering), more quiet performance and the introduction of Ray Tracing. The card itself is equipped with 8GB of GDDR6 VRAM, it has a boost clock of 1860 MHz, a few different connectors (three DP, one HDMI and one USB Type-C), 2944 Pixel Pipelines and a total power draw of 215W, which is very good for this card class. Its Hybrid Cooling AIO is another aspect this VGA card is showing its qualities in. 120mm fan, combined with the radiator and the closed liquid cooling, delivers very quiet work, even at high RPMs and, more importantly, very low temperatures, from 45°C when fans are not spinning to 75°C under maximum load. EVGA GeForce RTX 2080 FTW3 Ultra Hybrid Gaming also comes with adjustable RGB LEDs and overall presents a very good option for gaming rigs. Unfortunately, if you want to upgrade your GTX 1080Ti, the improvements aren’t that noticeable. Therefore, you’d better choose some of the RTX 2080Ti cards or leave the upgrade for some other occasion. In every other situation, this card is a great choice. 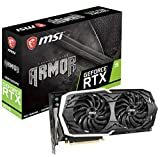 For everyone looking for a quality card that will guarantee hours and hours of intense WQHD gaming, MSI Gaming GeForce RTX 2070 Armor comes as one of the better solutions. As previously mentioned, WQHD resolution is the primary target for this “lad”, along with the less demanding Full HD one, while the 4K is a bit over the edge and would require too much compromising. When talking about performance, RTX 2070 stands above the GTX 1080 and Radeon Vega 64, but bellow GTX 1080Ti, which offers a much better performance, including an Ultra HD experience. Similar to every RTX card, this one also offers Ray Tracing and AI features, but until the Ray Tracing games show up on the market, its possibilities in that department will stay a mystery and more of a great feature you can’t really use. MSI Gaming GeForce RTX 2070 Armor comes with 8GB of memory, nice connectivity (three DP, one HDMI and one USB Type-C), and a dual fan cooler; it offers a temperature of 64°C during gaming, the acceptable power consumption of 170W and 36 RT and 288 Tensor cores, that may be a bit bigger in numbers. Overall, if you want a quality graphics card that will give you a lot of fun and won’t cost a fortune at the same time, MSI Gaming GeForce RTX 2070 Armor is the thing for you. ASUS ROG Strix GeForce RTX 2060 Overclocked 6G is a decent graphics card, which performance can be compared with that of GTX 1070Ti or GTX 1080. In other words, it is not the best performing graphics card you can find, but is surely near the top, and for that reason, a great choice for serious gaming. It is primarily made with Full HD and WQHD resolution gaming in mind, and that’s where it has the best results, while Ultra HD experience just isn’t what it should be – it lacks smoothness and details. This card has 6GB of VRAM, boot speed of 1830MHz, it comes with 1920 CUDA cores, ARUA RGB Header and triple fan cooler. It also has dual BIOS, offers nice tweaking capability and it doesn’t go past 55°C even under heavy loads in performance mode, while in silent mode, the mark is set at around 62°C. Top-notch build quality and nice appearance are other benefits of ASUS ROG Strix GeForce RTX 2060, but sadly there are also some not-that-great sides, such as the lack of SLI and, generally speaking, a high cost. 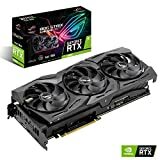 For its price, you can get yourself an RTX 2070, which is surely a better card. In other words, this is a good card, but its price tag just needs to be more realistic. Finding a great card at a more affordable price is always beneficial, and ASUS ROG Strix GeForce RTX 2080 A8G is exactly one of those products. 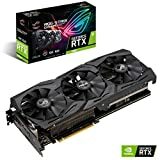 According to performance, pretty close to the best cards out there, but much more appealing to a wide range of gamers according to the price. 2944 cores, 8GB of GDDR6, AURA Sync RGB lighting, various connectors (one HDMI, three DP, and one USB Type-C) GPU clock speed of 1515 MHz and a boost clock of 1710 MHz, along with TDP of 215W, are just some of the great characteristics this card has to offer. With this card, you can even play in 4K: although lacking some details in order to achieve 60FPS, still, decent Ultra HD gaming is there. Only when you realize that ASUS ROG Strix GeForce RTX 2080 A8G is actually better by some 12% than GTX 1080Ti, you get a full perspective how good this card really is. Very quiet and energy-efficient and with exceptional capabilities, this VGA card is everything that a real gaming enthusiast might need. 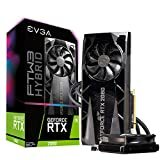 Its price is high, but significantly lower than that of RTX 2080 Ti, which gives it a much better value for the money and makes it a more attractive option, especially if your resources aren’t unlimited. The XFX Radeon Rx Vega 64 has 8GB High Banwidth Cache, is Radeon VR Ready Premium, has Next-Gen Compute Units, and FreeSync 2 Technology. The Radeon Rx Vega graphics is designed for extreme gaming. Radeon RX Vega graphics cards feature a High-Bandwidth Cache and Cache Controller that rise above regular GPU limitations by enabling faster access to much larger memory capacities. The new geometry engine hosts efficient load balancing, and the next-generation geometry path offers up to twice the peak geometry throughput per clock cycle. The GPU core has been redesigned to work smarter, and faster, with next-gen compute units2 and an optimized pixel engine designed to speed up the latest games. Offering a bit older, but still competitive hardware at a very affordable price is recipe invented a long time ago, which can be very lucrative for both the manufacturer and the user. That approach has been used in the case of the XFX RX-590P8DFD6 Radeon Rx 590 Fatboy that comes from 2016, but still can compete with GTX 1060, GTX 1050 Ti, or similar cards. Equipped with 8GB of VRAM, a nice set of outputs (three DP, one HDMI, and one DVI), dual BIOS and 2304 stream processors, this card is the right choice for gamers who haven’t upgraded their rigs for three or four years, but want to fully enjoy in the full HD and QHD gaming. This card comes with a 225W TDP during gaming, offers decent tweaking options and is among the more affordable ones in the class. What isn’t that great is its unattractive appearance, and more importantly, poor cooling capability that results in a temperature of 80°C while playing, which is nowhere near acceptable values. Overall, XFX RX-590P8DFD6 Radeon Rx 590 Fatboy is a good graphics card for its price and generally presents a decent solution for the more budget-oriented configurations, the only obstacle is the already mentioned high temperature, but if you have a case with a good airflow, even that shouldn’t represent too much of a problem. The ROG Strix RX 580 O8G Gaming graphics card outshines the competition with ASUS Aura Sync RGB lighting while MaxContact technology provides improved thermal transfer with twice the GPU contact. GPU Tweak II and FanConnect II enable effective system monitoring and cooling performance. Featuring Aura RGB Lighting on both the shroud and backplate, ROG Strix graphics cards are capable of displaying millions of colors and six different effects for a highly personalized gaming system. ROG Strix graphics cards also feature ASUS Aura Sync, RGB LED synchronization technology that enables complete gaming system personalization when the graphics card is paired with an Aura-enabled gaming motherboard. Auto-Extreme manufacturing technology delivers premium quality and reliability with aerospace-grade Super Alloy Power II components. There are not that many cards that position themselves as well as an MSI Gaming GeForce GTX 1660 Ti, which offers quality performance, good overclocking capability and an affordable price. 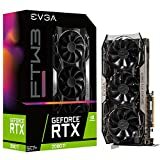 It is no wonder that this card (at the time of writing) has a five-star review rate at Amazon because gives the most of all the VGAs in this category for this amount of money. The boost clock of 1750 MHz can be easily overclocked to 1900MHz or higher, and that way offer frame rates very close to the ones of RTX 2060, but for a drastically lower price. The card itself comes with 6GB of GDDR5X VRAM, one HDMI and three DP outputs, latest architecture (without Raytracing and AI features) and an exceptionally attractive appearance. This card’s great characteristics also include very low, almost dead silent, noise levels, and great temperature values of around 65°C. According to performance, MSI Gaming GeForce GTX 1660 Ti is ideal for Full HD playing, while 1440p action might be affected by frame rate deterioration (from 60fps to around 40fps) from time to time, but still presents a good solution in both departments. 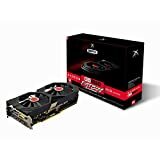 Generally speaking, with its set of features, this card is a good option for upgrades from GTX 960/GTX 970 or as a quality solution for mid-budget gamers looking for a decent graphics card. GIGABYTE GeForce GTX 1660 Ti Windforce is a very good graphics card made for users with more limited resources. Thanks to its 6GB of GDDR6 VRAM, 1536 CUDA cores, 96 TMUS, TU116 graphics processor and clock speed of 1500MHz (boost speed 1770MHz), this card is a perfect fit for gaming enthusiasts looking for an excellent 1080p adventure. The 1440p play isn’t among its best aspects, but is still pretty good, with reasonable performance. When it comes to temperatures, they are in the expected range, between 40°C in idle and 62°C while under full game load. Connectivity is another matter you shouldn’t be worried about since it has one HDMI and three DP ports, which is more than enough even for the most demanding users. RGB lighting is decent but not as attractive as on AORUS lineup. On the other hand, its major issue is its QHD and UHD performances’ wacky nature – it delivers varying results depending on the game. In other words, you never know what the final result will be. Luckily, that is not the case with 1080p playing, which it is flawless in. To sum up, if full HD gaming is your primary goal, GIGABYTE GeForce GTX 1660 Ti Windforce is a card for you. Otherwise, you’d better to go for some other device. New generations of products should deliver better performance, improved features, introduction of new technologies and overall much better value for the consumer. ZOTAC Gaming GeForce RTX 2060 is precisely one of those types of products. With a significant performance boost, implementation of modern technologies such as AI and Raytracing, and more importantly, much more substantial all-together upgrade over the previous device generation, which isn’t that common in recent time. This ZOTAC card comes with 6GB of GDDR6 VRAM, 1920 CUDA cores, 120 texture units, 48 ROPs and a boost clock of 1680MHz, which puts it pretty close to Vega 64 and GTX 1080, which are slightly in front. On the other hand, thanks to its amazing Samsung GDDR6 overclocking capacity, with a little bit of tweaking, you can easily change the score and turn the sides, putting the ZOTAC Gaming GeForce RTX 2060 in front, which just increases its altogether value and makes it more appealing to a wide variety of gamers. This great card has three DP and one HDMI output, power consumption of 160W, great energy efficiency, and it brings the best value for the money of all the 20xx series cards. Simply saying, ZOTAC Gaming GeForce RTX 2060 is one hell of a card. MSI Gaming Radeon VII is a highly interesting graphics card with great capabilities, but a lack of consistency in its UHD performance, which varies from game to game. Although the card shows exceptional results in 1080p and 1440p, its weird, unpredictable behaviour under 2160p makes it a tricky choice if that is the field of your interest. Generally speaking, this card is positioned between RTX 2070 and RTX 2080, while RX Vega64 is significantly slower and completely out of the competition. What gives the value to the MSI Gaming Radeon VII is, first of all, 16GB of HBM2 VRAM, but also an attractive design and great performance that needs a bit tuning to make this card great. Unfortunately, inconsistency isn’t the only downside of this card. There is also loud fan noise and poor overclocking tools that, along with its price that’s a bit too high, make it a not-that-attractive option for gamers. In other words, if QHD is what you are looking for, this is a great card. On the other hand, if the UHD is what you need, you should go for RTX 2080. There is no doubt that powerful PC needs a hefty motherboard. But the quality of graphics card you choose for your computer also plays a crucial part. Therefore, if you really want to get the best of the lot you should be aware of all pitfalls you may face when selecting the best graphics card for your PC. What do you need a graphics card for?